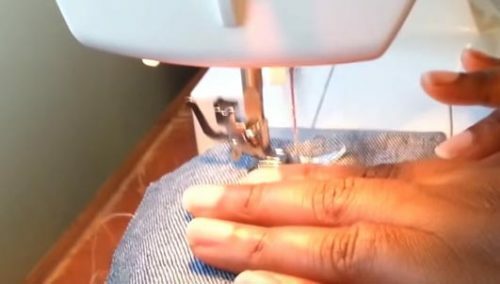 In this sewing tutorial, you will learn 4 professional ways to finish seams without using a Serger. This tutorial contains also some simple short video to help you better understand. Most often when you sew, hem a dress, shirts, pants or whatever from any material you usually join two pieces of fabric. You know what happened to some type of fabric when you cut them – dangling loose ends, fraying threads etc. This easy to follow guide below will help you create a professional seam without the need for a Serger. Follow along with some pieces of fabrics. The simplest way to create a professional looking seam without using a Serger is by creating a plain seam with clean edge finish. What do we use a plain seam for? 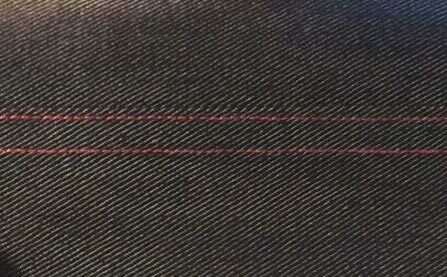 A plane stitch with clean edge finish is mostly used in making higher ends clothes, like, shirt, dresses pants. 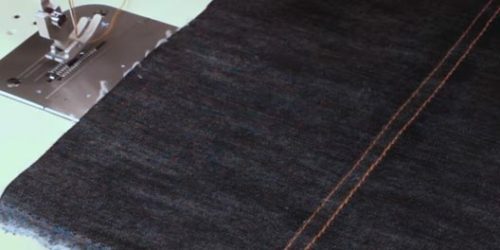 Here is how to do a professional double fabric seam finish. Follow the steps below and watch the following video if it’s not clear enough. I assume you already have the two fabrics piece to put together. Place the two pieces of materials together with the right side facing each other and the wrong side also facing each other. Using a 3/8″-1/2″allowance sew a simple straight stitch on the wrong side of the fabrics. Normally you should always stitch from the wrong side. After sewing, open the fabric or material allowance and iron using a sewing iron. Fold each side with about ¼ inch in of the allowance (or half its length), then sew a straight stitch on each. 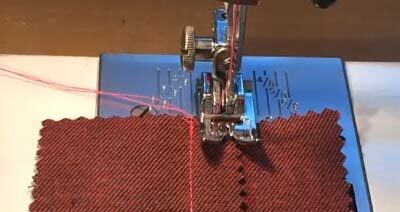 Tool tip: For very large length of fabric, you may use a ball point needle to hold the folded fabrics before stitching. Another option, I always recommend for better result, is the flat point needle. If you have a fabric that does not frays easily you can skip part of step 4 (i.e. the ¼ inch folding before stitching). To make it still look more professional and beautiful use a pinking shears to cut out about 1/5 inch of the raw edges after step 2 and sewing a straight-line stitch on both side. If you do that you will have something like the image above (used another material and different thread color just for illustration purposes). That’s it – Simple as hell guide on how to make a professional plain seam with clean edge finish. Still not clear? Please watch this short YouTube video. 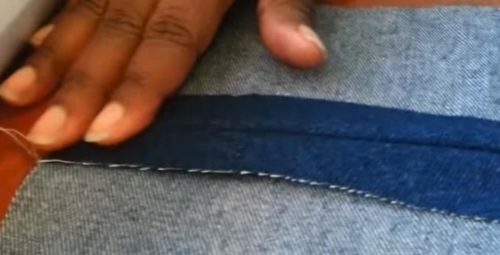 This demonstration is a simple plain seam finished by turning a single hem on each side of the seam. I should make it clear that there are many variations of plane seam finishes. You can play with the finishing like zigzagging each side of the seam separately or using a binding. 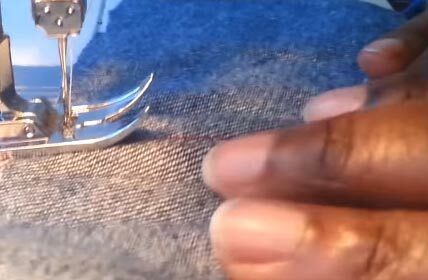 Now let’s look at the second method for creating a professional looking seam without a Serger. 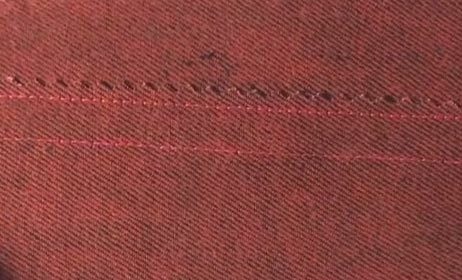 A French seam is mostly used for a very delicate fabric for overcasting the seam allowance to prevent fraying of thread or raveling. Most often used for making short or dress sleeves. 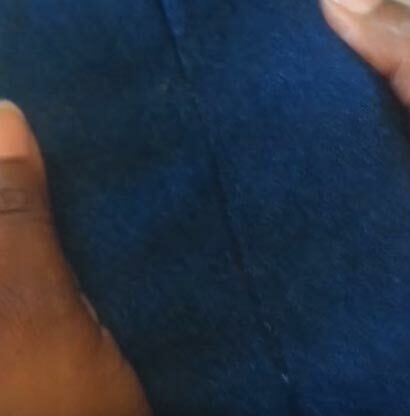 Here is how to do a French seam without using an overlock machine. Follow the steps below and watch the following video if it’s not clear enough. Using a smaller allowance of ¼ inch sew a simple straight seam on the right side of the staked fabrics. Unlike the plain seam you should stitch this time around on the right side. Open the joined fabric and fold to expose the wrong side, letting the good side case each other. Stitch with a seam allowance a little above what was used on step 2 (kind of feel what was already sewn). In this case around 1/3-inch allowance. The idea is to stitch just a little above the hidden seam on the other side, or just right on it. Now if you like to make it even smooth, you can just fold it down and make a neat straight seam right on top. Tool tips: Do some ironing to level it up and make it neater. At the end, this is how it would like at the inside and outside of the fabric. 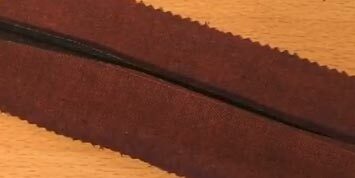 Felled seam, popularly known as flat-fell seam, is a type of seam done by hiding one edge inside another folded edge of fabric, then stitching the fold down. What do we use a flat fell seam for? 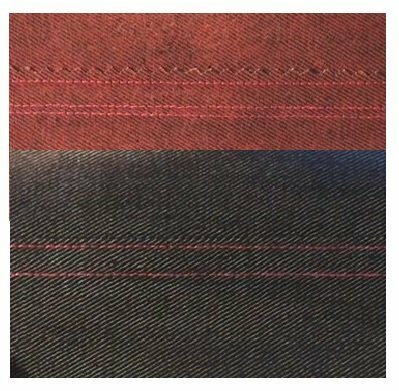 Flat felled seams are mostly used for professional clothing like your retails Jeans, blouses, Pants legs, dress sleeve high end denims etc. Generally, it is used at most for men’s wear because of its neat finishing. 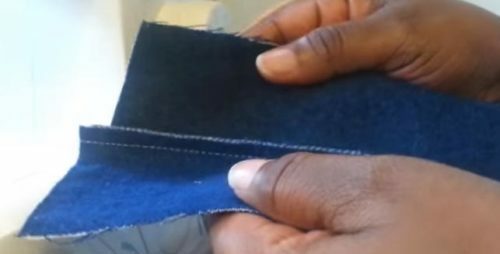 Here is how to sew a flat felled seam without using a Serger. Follow the steps below and watch the following video if necessary to create a flat felled seam. Trim one part of the seam allowance down leaving just ¼ inch or half of it left. Then fold the uncut seam to hid the frays or edges of the cut seams. Fold one more time to cover the uncut seam edges. Stitch or sew 2 straight stitch on the seams with almost no allowance (as close as possible to ¼ of an inch). If you do it properly with ironing and the last seam with almost no allowance, you should get something like this below. 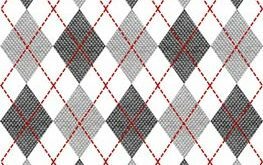 Tool tips: You should use threads that matched with the fabric. Clearly on this type of seams the inside looks like the outside. You can decide to put the inside on the outside. It all depends on what you want (just switch step 1 fabric casing). A welt seam resembles a flat-felled seam but is less bulky. 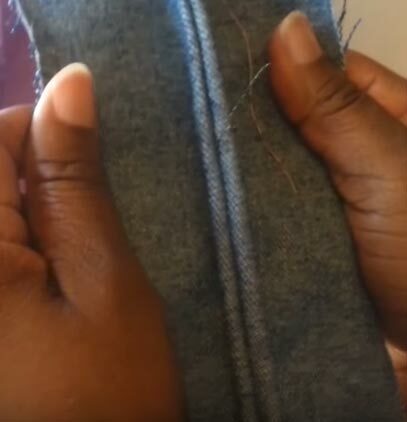 Rather than folding over and pressing the “top” seam allowance, it is simply finished with a zigzag stitch or pinking shears and then stitched down (the case with top finished). 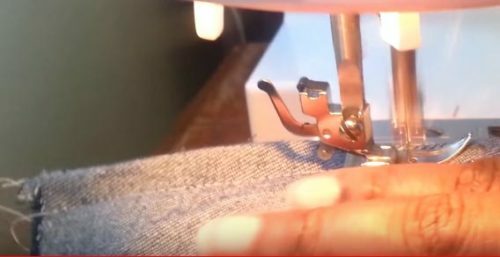 Here is how to quickly sew a French seam without using an overlock sewing machine. Follow my steps below and watch the following video if you are not clear. Trim one part of the seam allowance leaving about ½ of it left. Trim or edge finish just a little part off from the uncut seam to clear or stop it from fraying. I recommend the use of a pinking shears, if the fabrics don’t fray so much. 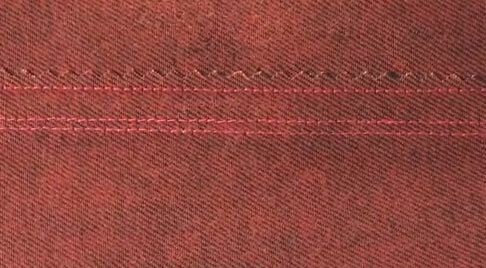 But if it does frays quite a lot, you can use a zigzag stitch with an overcast foot to seam the uncut seam instead of using a pinking shear. 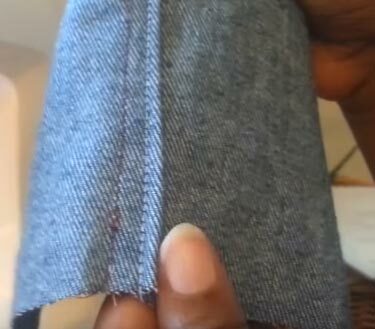 Then press the seams allowance to one side to cover the cut seam or the shorter seam with the uncut seam using a sewing iron. This will hide any frays or edges of the cut seams. Next, stitch the fold together, just close to the edge keeping minimal seam allowance. Finally turn the fabric over and add a top stitch on the right side. Again, for neater finish, you cannot do without ironing the fabric or seams. Try to maintain equal distance or stitches parallel. You will be consistence and perfect, if you do these two or three times as a practice. 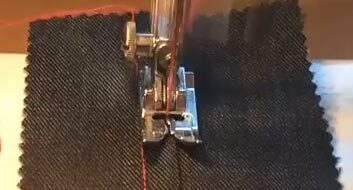 Trust me after this you would come up with your own technique for perfectly creating a Welt Seam with a professional look. 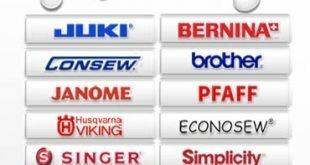 If you are still not clear, I found this video below from Miss Sew very clear, concise and easy to follow. So that’s it is guys. 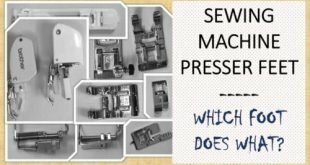 If you don’t have an over-locker or serger sewing machine these are 4 fantastic way you can stop your seam from fraying or make your fabric look more professional.